Jodie, from Leigh in Lancashire, tells their story here. “On 24 September 2017 I went into early labour with my boy / girl twins. They were born at 26 weeks - three months early. Lola exceeded all expectations, but Luca has had the most horrific journey." “At just 11 weeks Luca became seriously poorly in the NICU - he had bacterial meningitis and septicaemia. He went on to have an MRI scan on 21 December 2017, which came back clear. 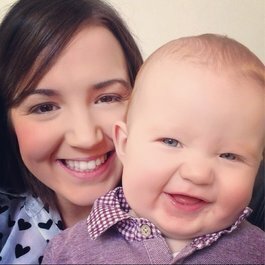 We thought we were lucky, but little did we know what this horrible disease had in store for my precious little boy." “Just a few months after coming home, Luca showed signs of being poorly. I knew something wasn’t right, so I took him straight to A&E. He was admitted and we were told his lumbar puncture came back positive. Luca went on to have IV antibiotics for another three weeks and as soon as he recovered he came home." 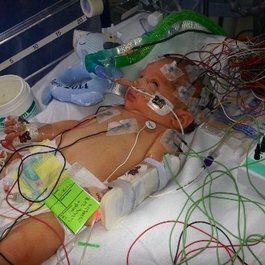 “Just two months later Luca took a turn for the worse. This time I knew this disease nearly won. Luca was deteriorating very fast, he was so lethargic, with a temperature of 40. He just looked lifeless and needed help with breathing. We were told to prepare for the worst." “After a good few days on antibiotics Luca started to recover, but it’s from here that we noticed a change in his development. His hands were in fists, he wasn’t able to grasp things and he couldn’t roll or sit, all things his twin sister could do." “In June 2018 Luca ended up getting a rash, which was unusual as he’d never had a rash before. When I checked with a glass the pin pricks weren’t going, so I took him to the GP, who then sent us to A&E in an ambulance. 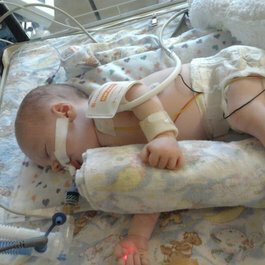 Further tests were carried out and a lumbar puncture came back positive this time, though it was for viral meningitis. So, he was taken off antibiotics and we were sent home." 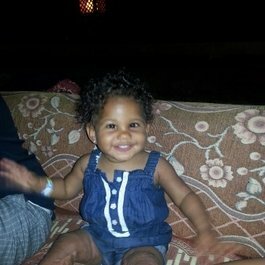 “We got referred as an emergency to immunology, who did further tests on him. These showed that Luca’s vaccinations never took; due to him being so premature his body just didn’t take to them. So, he was never protected against meningitis! He’s now had them all re-done and also a meningitis booster that would normally be given at the age of 15. He’s also on antibiotics every day." “Luca has not been ill since July 2018. He went on to have an MRI scan in November 2018 that confirmed he’s been left brain damaged on both sides and has PVL (Periventricular leukomalacia) and quadriplegic cerebral palsy. He now faces long-term complications and, at the age of 18 nearly 19 months, Luca is still yet to sit fully unaided, stand, walk and talk - all things we’ve been told he may never do. We have endless appointments and physio."